French President Emmanuel Macron held on to President Trump's hand for about five seconds during their first meeting ahead of a NATO Summit in Brussels. VietPress USA (April 12, 2018): President Donald Trump accused Russian president Putin, Russia and Iran to support strongly Syrian dictator Bashar al-Assad in using chemical weapons to kill Syrian civilians in rebel-held zone near Douma last Saturday that killed at least 43 children and women and injured hundreds others. Yesterday President Trump announced he will direct the air strike into Syria for response to this mass killing. Russia vowed to shoot down any or all missiles if U.S fires at Syria. Today on Thursday, April 12, 2018, French President Emmanuel Macron said that "We have proof" Syria used chemical weapons attacked last week in Douma, central Syria that killed at least 40 civilians, almost children and women, and injured hundreds others. 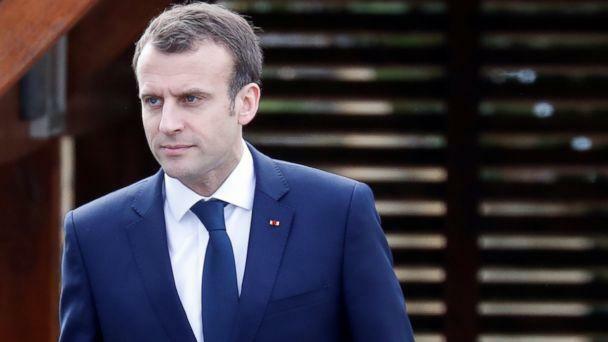 France's President Emmanuel Macron declared "As for a response, "We have to make a decision at the right moment, when we will consider it useful and the most effective,” Macron added that he is "working closely" with the United States. France has evidence that Syria used chemical weapons against its own citizens, French President Emmanuel Macron President said this afternoon, five days after a suspected chemical attack there. “We have the proof that last week ... chemical weapons — at least chlorine gas — were used by [President Bashar] Assad's regime," Macron told a French today. 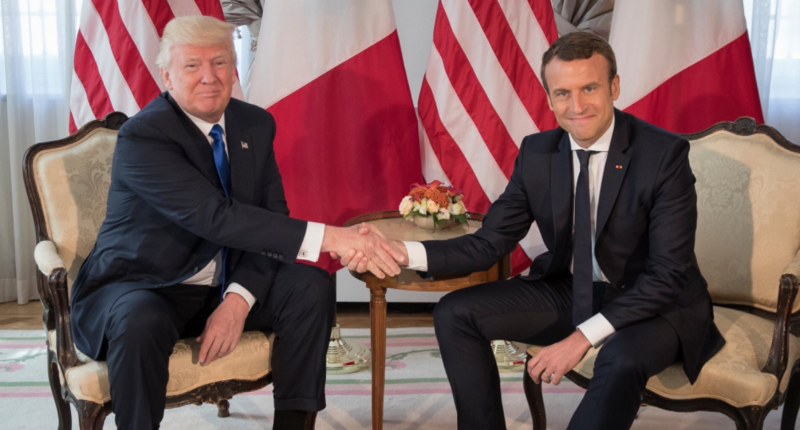 As for a response, "We have to make a decision at the right moment, when we will consider it useful and the most effective,” Macron said, adding that he is "working closely" with the United States. 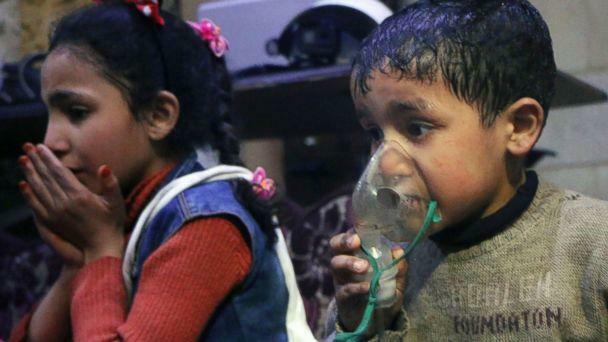 But the international watchdog charged with independently verifying the chemical attack, the Organization for the Prohibition of Chemical Weapons (OPCW), has not yet been given access to the site of the alleged chemical attack in Douma. The OPCW's inspection team is on its way to Syria and will start work Saturday, the organization tweeted today. But getting access to the site may still be a challenge. The Russian military this morning said it was completely in control of the once rebel-held Douma and had raised a Syrian flag in the suburb just outside of Damascus. The French president's conclusion confirms an independent analysis published Wednesday by a website called Bellingcat, based on open-source material. Eliot Higgins, a British researcher and independent journalist, runs Bellingcat, which digs into the digital forensics of events mostly inside Syria, focusing on the weaponry used in attacks, both conventional and chemical. He has become in recent years one of the foremost experts on the munitions used in the Syrian conflict and a vital resource to journalists. As soon as Higgins saw the reports of a chemical weapons attack rolling in Sunday, he got to work. "Reports indicated that a significant number of people, including children, had been killed by these attacks," Higgins wrote at the top of his analysis. Eyewitness accounts from the ground came in the form of disturbing videos showing children frothing at the mouth, unable to breathe. Frame by frame, Higgins went through the video and photos that emerged, identifying markings on the buildings in order to confirm the video and pictures were from Douma, a suburb outside of Damascus that activists and doctors said was attacked by the Assad regime. After they had identified the building featured in most of the photos and videos, Higgins' team members were then able to match the video released by the Russian foreign ministry allegedly showing Russian forces visiting the site of the attack to the same building. His team is confident that the videos from activists and the Russian foreign ministry handout video were shot at the same building. The Russian foreign ministry said their samples were clean. The “Russian specialists” who visited the site “found no traces of chlorine or any other chemical substance used against civilians," according to Foreign Minister Sergei Lavrov.